Point Roberts WA, Vancouver BC – April 4, 2019 – Investorideas.com, a global investor news source covering Artificial Intelligence issues a special edition of The AI Eye, looking at how new developments in AI, IoT and the digital tech sector are now being deployed in seemingly “old-school” industries such as oil and gas and mining. As technology progresses forward at a break-neck pace, older and more established industry sectors such as oil and gas, or mining and manufacturing are beginning to realize that utilizing these new technologies is the only way to embrace the future. BI Intelligence predicts that global manufacturers will invest $70 Billion on IoT solutions in 2020, up from $29 Billion spent in 2015. 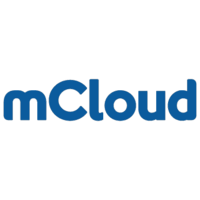 Universal mCloud Corp. (TSX-V: MCLD) (OTCQB: MCLDF), a leading provider of asset management solutions combining IoT, cloud computing, artificial intelligence and analytics, recently unveiled its plans to connect oil and gas field workers with real-time access to digital work assistance capabilities using the Company’s AssetCare platform delivered via head-worn, hands-free smart glasses. Delivered on smart glasses, mCloud’s AssetCare platform enables workers in the field to get access to the right information at the right time combining the features of an AI-powered digital assistant with advanced 3D and mixed reality. Real-time digital work instructions enable workers to get guidance and verification as they work through complex procedures, ensuring they get jobs done right the first time. Smart work order management capabilities ensure workers focus on those field assets in most urgent need of attention. In addition, remote assistance, provided through mCloud’s strategic arrangement with Agnity Global enables workers in the field to virtually collaborate with experts in the corporate back-office through a secure, enterprise-grade video and audio link. Schneider Electric S.E. (OTC: SBGSY), a leader of digital transformation in energy management and automation, has recently announced the launch ofSchneider Electric Exchange, the world's first cross-industry open ecosystem dedicated to solving real-world sustainability and efficiency challenges. Stelco Holdings Inc. (TSX: STLC) (OTC; STZHF), the owners of North America's newest and most technologically advanced integrated steelmaking facilities recently announced signing an agreement with Canvass Analytics Inc., a global leader in AI software for intelligent industrial operations to use Canvass's AI platform to transform its steel operations, improve yield and boost productivity. Alan Kestenbaum, Executive Chairman of Stelco Inc. commented: "As a company that strives to deliver the market's highest quality products in a cost competitive manner, we are continuously looking at how we can operate better. By partnering with Canvass Analytics, we are systematically transforming our facilities into intelligent operations environments and augmenting a digitally oriented workforce in order to take the efficiency of our operations to the next level. Canvass Analytics quickly demonstrated to us the usefulness of AI in certain areas of our operations and the potential of applying AI across our operations in order to increase our profitability and competitiveness." In the mining sector, Albert Mining Inc. (TSX-V: AIIM), using Artificial Intelligence (AI) and advanced knowledge-extraction techniques since 2005 announced on March 28th that its technology will be used on Playfair Mining Ltd.’s RKV property (Tynset, Hedmark County area, 295.96 square kilometres), located in Southern Norway, 350 km North of Oslo. 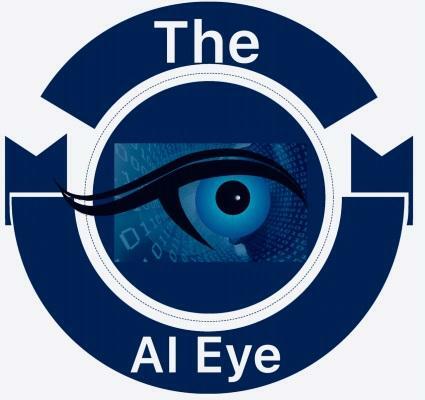 A fee will be paid to Albert for applying its CARDS (Computer Aided Resources Detection Software) system using AI and Datamining on the RKV property. Albert Mining says its objective is to develop a new royalty stream by significantly enhancing and participating in the exploration success rate of mining. AI is changing the future of the resource sector from agriculture to energy and mining but it also impacts almost all sectors as innovation and demand for efficiency become key ingredients for success. In Canada and the US, the resource sector is a key contributor the economy, so the old must meet the new or face meeting the fate of the dinosaurs. For a list of artificial intelligence stocks on Investorideas.com visit here or become an Investor Ideas member.